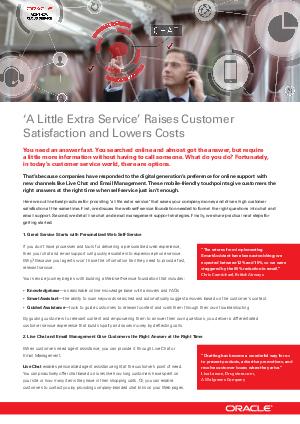 Here we outline best practices for providing ‘a little extra service’ that saves your company money and drives high customer satisfaction at the same time. First, we discuss the web self-service foundation needed to funnel the right questions into chat and email support. Second, we detail live chat and email management support strategies. Finally, we share practical next steps for getting started.